Col. Chris Karns, spokesman for Africa Command, reiterated that the movement of troops would not impact the force’s ability to respond to threats and targets. Years of chaotic fighting in the war-torn country have reached a crescendo in recent days as General Khalifa Haftar pushes to take control of the capital. On Sunday, his so-called Libyan National Army (LNA) said it had launched airstrikes targeting UN-backed forces in southern Tripoli. US Secretary of State Mike Pompeo issued a statement calling on Haftar to stop the offensive. 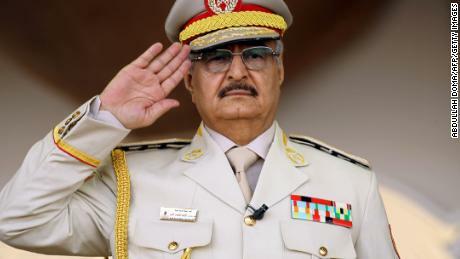 “We have made clear that we oppose the military offensive by Khalifa Haftar’s forces and urge the immediate halt to these military operations against the Libyan capital,” he said in a statement Sunday. The GNA has announced a counteroffensive to defend Tripoli as Haftar’s troops draw closer. 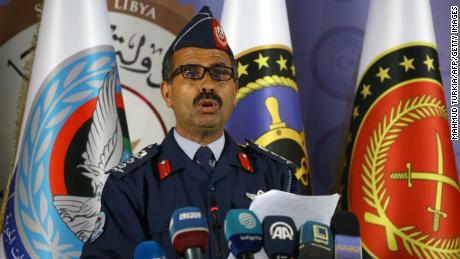 On Sunday, spokesman for the GNA’s armed forces, Mohammed Qanouno, heralded the launch of a military operation dubbed “Volcano of Rage,” aimed at “cleansing all Libyan cities from the outlawed,” Tripoli-based Libya Al-Ahrar TV reported. 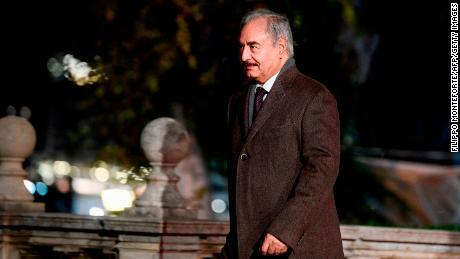 In the eight years since Moammar Gadhaffi was deposed and killed in the 2011 conflict, Haftar has been one of a handful of strongmen to take advantage of the nation’s descent into disarray. Based in the city of Benghazi, Haftar already wields control over much of eastern Libya, but he has his sights set on claiming Tripoli. Warring militia occasionally spar for control over the heavily populated capital, which has prevented the UN-recognized and Western-backed government of Prime Minister Fayez al-Sarraj from fully grasping the reins of power. In the mix are multiple tribes competing for control of Libya’s dwindling oil wealth, as well as militant groups, including ISIS, scattered across the vast country. “To our army stationed on the border of Tripoli today, we continue the march of struggle and response to the appeal of our people in the capital as we promised them,” Haftar said in an audio recording posted on his media office’s Facebook account on Thursday. He added that “safety of our foreign guests and our institutions” should be ensured. The UN High Commissioner for Refugees and the International Organization for Migration (IOM) have raised concerns over how the ongoing clashes will impact refugees and migrants stuck in detention centers in the area. CNN’s Nada Altaher in Abu Dhabi, Ryan Browne in Washington and Mohammed Tawfeeq in Atlanta contributed to this report.